One of the amazing things about being a DBA/developer in 2016 is the sheer amount of freely available, downloadable data to play with. One fun publicly available data sets is the American Social Security Administration names data. It contains all names for which SSNs were issued for each year, with the number of occurrences (although names with <5 occurrences are not included to protect individual privacy). Recently I ran across this post on how to do subgroup medians in Excel 2010. 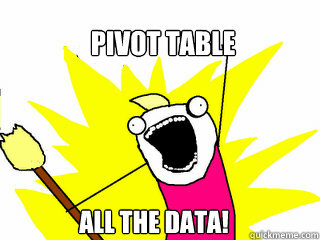 First you need to create a pivot table, then "do some copying and pasting and use a formula to make it happen". In SQL you can do this with one command.